A faint but discernable dividing line separates achievers from dreamers. At first glance this line may be difficult to distinguish. You may be tricked into believing that talents, titles, or resources draw the line between the doers and dreamers. However, if you spent a significant length of time with a group of leaders, the line splitting the achievers from the dreamers would become crystal clear. What makes the difference? Attitude. Achievers have a can-do attitude that sets them apart from mere dreamers. Achievers are sold out to success—no matter the obstacles—and they are willing to put forth the effort and pay the price of success. In my days observing leaders, I have identified four main groups. These people set no goals and make no decisions. These people have beautiful dreams, but they are afraid to respond to challenges because they lack the self-confidence to overcome difficulties. These individuals clearly define their goals, and, in the beginning, they work hard to make their dreams come true. However, when the going gets tough, they quit. These are the stars. They want to shine out as an inspiration to others. Once all-outs have set their goals, they never quit. Even when the price gets high and the challenges mount, they're dedicated. Their can-do attitudes carry them to greatness. Here are 10 keys to cultivating a can-do attitude. Can-do people aggressively pursue solutions, and in the process, uncover creative solutions others never even try to find. Can-do leaders take responsibility for the future, whereas lesser leaders blame circumstances or other people when facing roadblocks. Rather than wallowing in helplessness, can-do leaders search diligently to overcome the obstacles in front of them. Can-do people are fearless. They go straight to the source of their solution. Their every effort commands attention as they wrestle a problem to the ground with expediency. 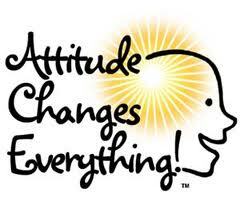 I have discovered that people with a can-do attitude have an aggressiveness about them. They take the bull by the horns. When they enter into the arena of action, they don't wait, they initiate. Can-do people abstain from complaining. They recognize its futility and guard their minds and mouths against indulging in this time-wasting activity. As George Washington Carver observed, "Ninety-nine percent of failures come from people who have a habit of making excuses." Can-do people empathize with others. They attempt to see any predicament from the other person's perspective in order to make the best decisions. In my book Winning with People, one of the 25 People Principles is the Exchange Principle, which says that instead of putting others in their place, we must put ourselves in their place. Leaders see the world from their perspective and others' perspectives. They use their own perspective to give direction, and they use others' perspectives to forge relational connection. Both direction and connection are indispensable to taking the team on a successful journey. Can-do people are immune to burnout. They love what they do because they've learned how to fuel the fire that keeps them moving. In leadership, the prize is not given to the person who's the smartest, nor to the person with the advantages in resources and position, but to the person with passion. Can-do people exceed expectations. While others settle for an acceptable solution, they aren't satisfied until they have achieved the unimagined. They set expectations for themselves higher than what is dictated by the people or situations around them. Can-do people take action. While others are crippled by worry, fear, and anxiety, they have the fortitude to press forward. The perfect moment when all is safe and assured may never arrive, so why wait for it? Can-do leaders take risks. Can-do people can adjust to change. They don't get caught griping about an unexpected curve in the road. They accept transition with an optimistic outlook. They realize it's less important what happens TO them, than it is what happens IN them. If you make an all-out commitment with a can-do attitude, expect a return. Passionate commitment is contagious, and resources follow resolve. Committed leaders will reap rewards and find open doors as others are drawn to the excitement and energy emanating from them. ◦ Are You A Reading Leader?